Canadian communications technology company BlackBerry is helping the private and public sectors come together to accelerate the development of smart cities and intelligent transportation systems (ITS) with a security credential management system (SCMS) service. According to the US Department of Transportation (USDOT), as connected vehicle applications exchange information among vehicles, roadway infrastructure, traffic management centers and wireless mobile devices, a security system is needed to ensure that users can trust the validity of information received from other systems. BlackBerry is addressing this need by making available, with no service fees, to auto makers and public offices involved in smart city and connected vehicle pilots, a SCMS service that provides the mechanism for vehicles and infrastructure, such as traffic lights, to exchange information in a trustworthy and private manner using digital certificates. The SCMS service is based on BlackBerry’s Certicom technology and offers a secure and reliable hosted public key infrastructure (PKI) that can manage certificates on behalf of an organization or an entire ecosystem. 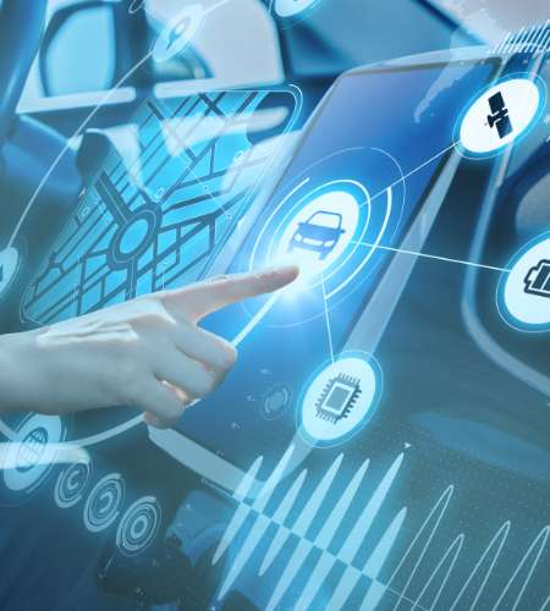 The service is designed to scale to support national and transnational deployments, enabling OEMs and public officials to take advantage of a turnkey cloud-based service for vehicle-to-infrastructure (V2X) certificate issuance and lifecycle management. BlackBerry can also support hybrid SCMS solutions optimized for high-volume vehicle production. BlackBerry’s new service was interoperability-tested in multiple OmniAir Consortium PlugFests earlier this year. The company’s first project using the new SCMS service will be in partnership with Invest Ottawa, which will make use of it within a secure 10-mile (16km) road autonomous vehicle (AV) test track that resembles a miniature city, complete with pavement markings, traffic lights, stop signs and pedestrian crosswalks. “We are delighted to partner with BlackBerry to demonstrate this SCMS service in a variety of V2X applications,” said Kelly Daize, director of the CAV program at Invest Ottawa. Canada’s Minister of Innovation, Science and Economic Development, Navdeep Bains, noted, “Our government is focused on ensuring all Canadians stand to benefit from digital transformation.‎ BlackBerry’s commitment to advancing smart cities is yet another step forward for Canadian innovation.